A number of towns in the Alps are within easy reach of several big name roads, notably Bormio and Cortina in Italy, Sankt Johann im Pongau in Austria and Briancon in France, among others. Arguably the best however is Andermatt in south central Switzerland. 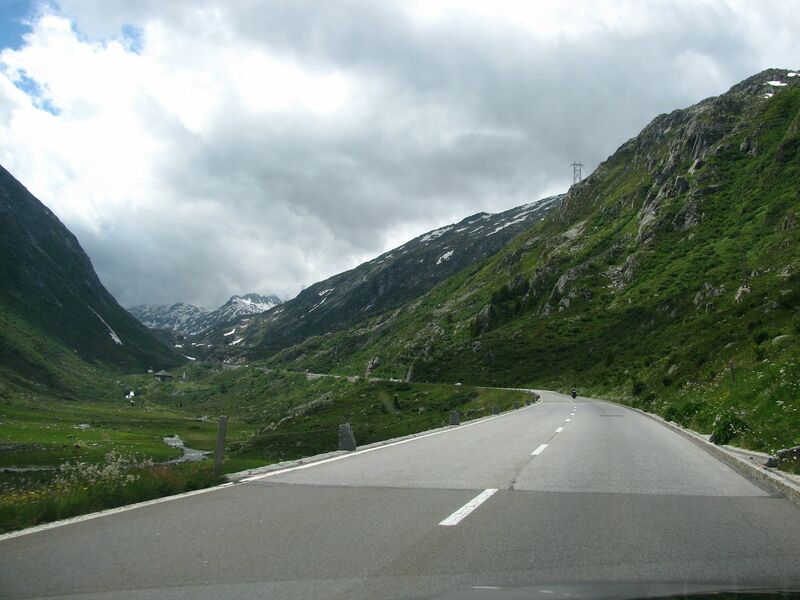 At a continental divide – between rivers flowing up to the North Sea and those flowing down into the Mediterranean – Andermatt is surrounded by eight mountain passes, six of which can be driven in a continuous figure-of-eight loop: the Gotthard Pass, Tremola, Nufenen Pass, Grimsel Pass, Susten Pass and Furka Pass. 1: THE (ST) GOTTHARD PASS AND TREMOLA. 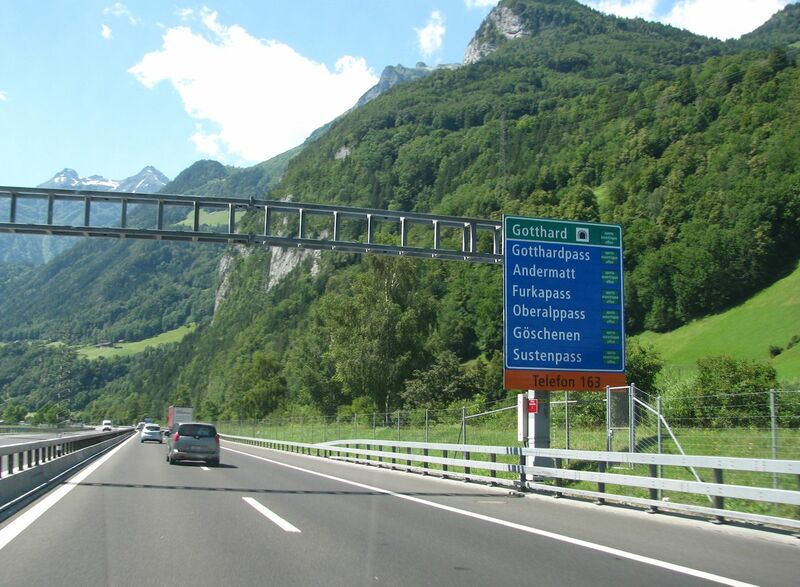 Get to Andermatt off Switzerland’s main north-south A2 motorway from Goschenen, junction 40, just north of the Gotthard Tunnel. 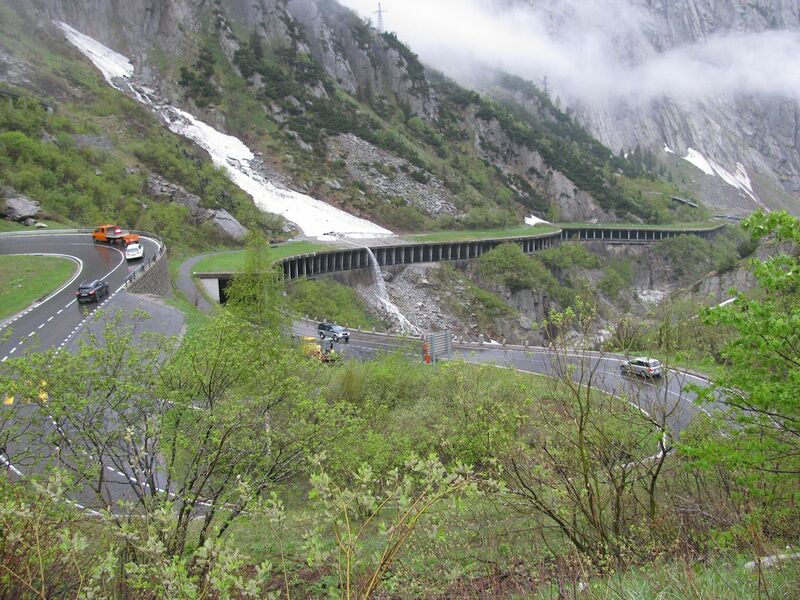 The road (H2) from Goschenen to Andermatt winds up the funnelling, sheer granite-walled Schollenen Gorge. Extensive road works are in place until 2019 though they are suspended during summer weekends. It can get quite busy at other times. Tiny Andermatt, pop. 1400, sits in the broad, long Urseren Valley, the source of the River Reuss, Switzerland’s fourth longest, which flows down into Lake Lucerne and, eventually, the Rhine and North Sea. East from Andermatt is Oberlap Pass (8%, 2045m) to Graubünden Canton. 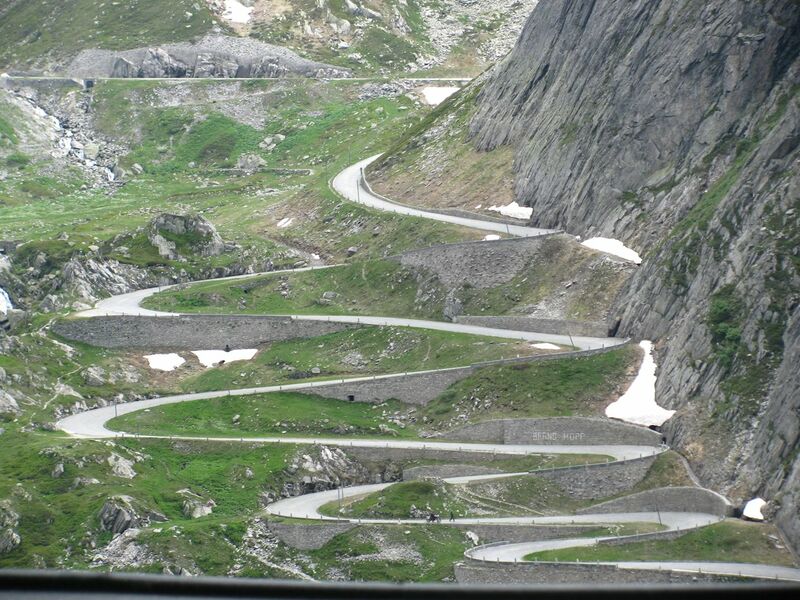 South is the Gotthard Pass (10%, 2091m) down to Airolo, the most northerly town in Ticino. 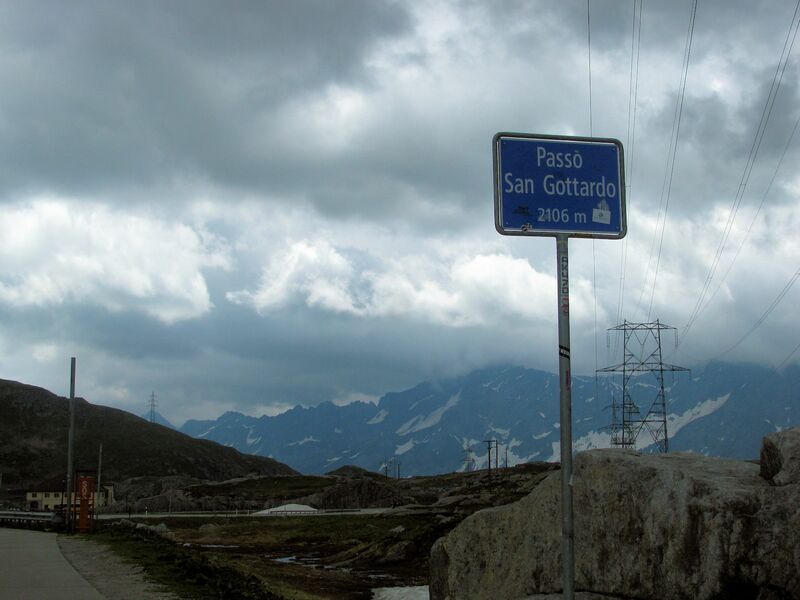 Meanwhile, about halfway along the valley, a few metres before the border of Uri and Ticino – the German and Italian speaking parts of Switzerland – is an innocuous turnoff to the right for Passo San Gottardo, aka Tremola, the original pass road which peaks a little higher at 2106m. Cobble-paved in parts and considerably tighter, twistier and steeper than the official Gotthard Pass, Tremola winds its way around the newer road, eventually plunging dramatically down the side of Pizzo Centrale (2999m). To the west is Pizzo Lucendro (2963m). All these peaks are in the Lepontine Alps, part of the Western Alps. 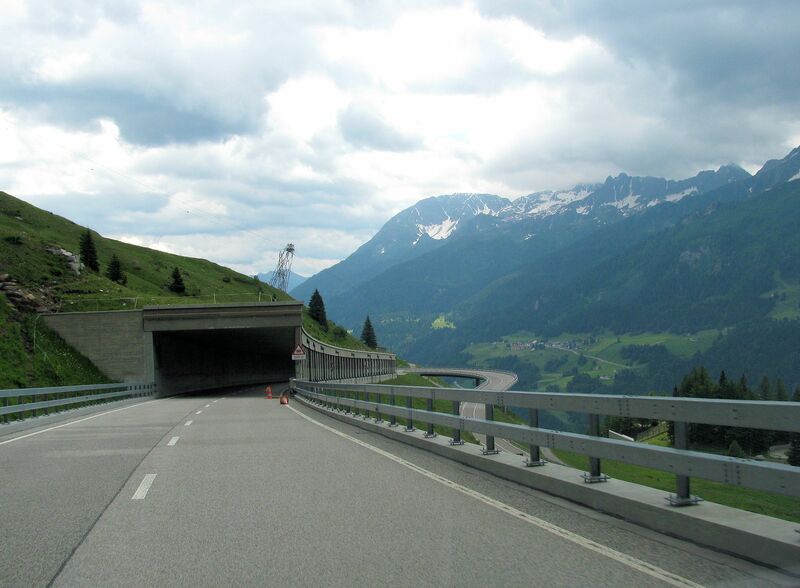 The H2 Gotthard Pass road is wide and smooth as befits what is actually a major road, the well-trod alternative to the busy Gotthard Tunnel during the summer (it closes during the winter). 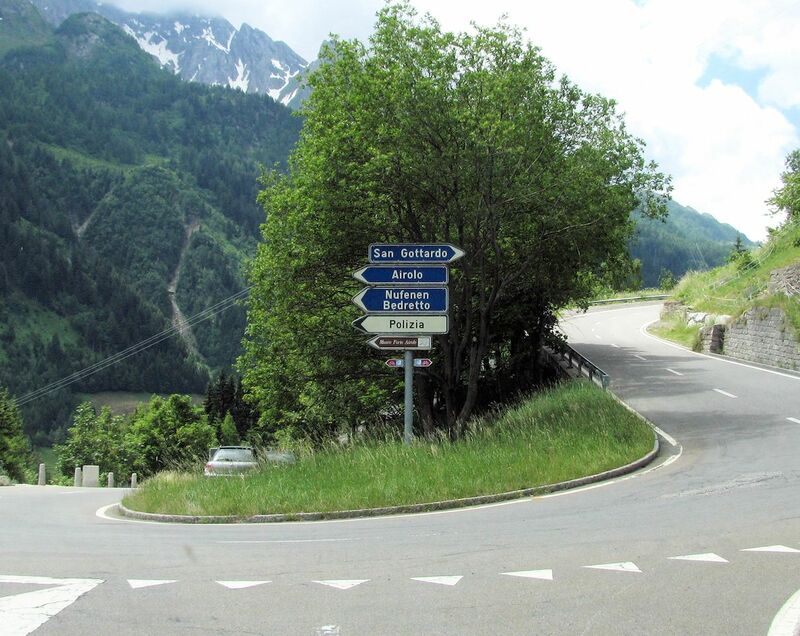 It doesn’t lack for drama however, the road way curving visibly away from the mountainside in a classic, albeit broad, hairpin descent down into Airolo. Gotthard and Tremola meet again at the southside. Head east into Airolo and back to the A2 motorway or – much better – follow the road into town then turn west to Nufenen Pass. Red: A2 Gotthard Tunnel. Green: H2 Gotthard Pass. Yellow: Tremola. Coming up: Nufenen, Grimsel, Susten + Furka.